Evo & Grace: The WanderLusts: The Heat is on for Gerald Santos in Miss Saigon. 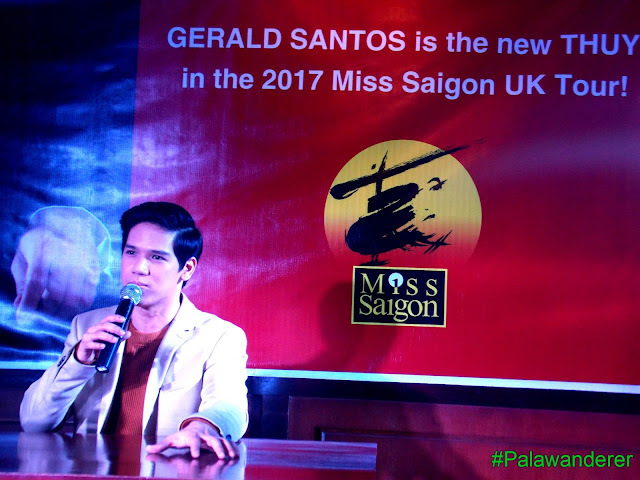 FORMER Pinoy Pop Superstar Grand Champion and Theater actor Gerald Santos, is now officially the newest Filipino cast of the Broadway hit and award winning musical Miss Saigon, for UK Touring cast of 2017. Santos will play as Thuy, the Vietnamese lover of lead star Kim who became a head of a military service, and still pursue Kim due to a parental arraignment, but Kim is in love already with a son to an American GI name Chris. During its press conference, Santos admit that it was not easy auditioning for the role of Thuy, he undergoes a multiple callback to fit for the role that once played by Robert Sena and many other Filipino artist. 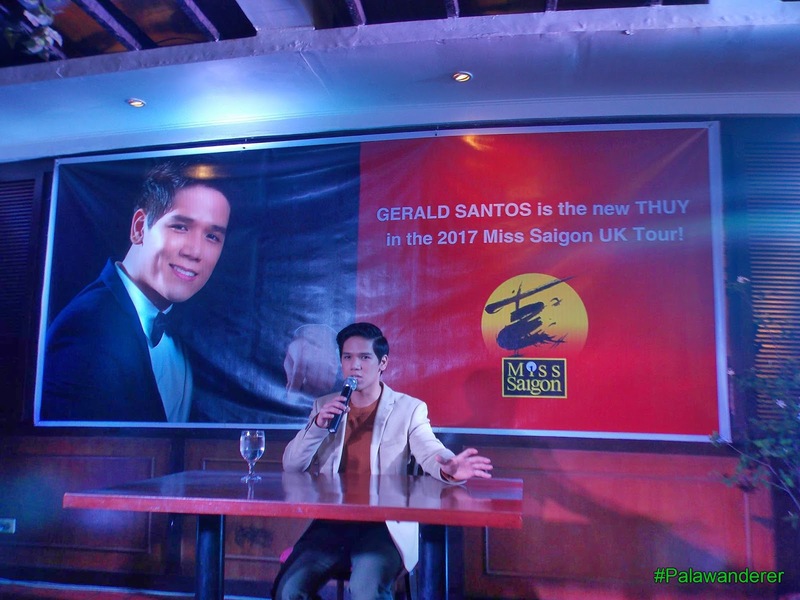 Santos pass the two-audition process and 2 callbacks, he was instructed to sing Thuy piece during those times. 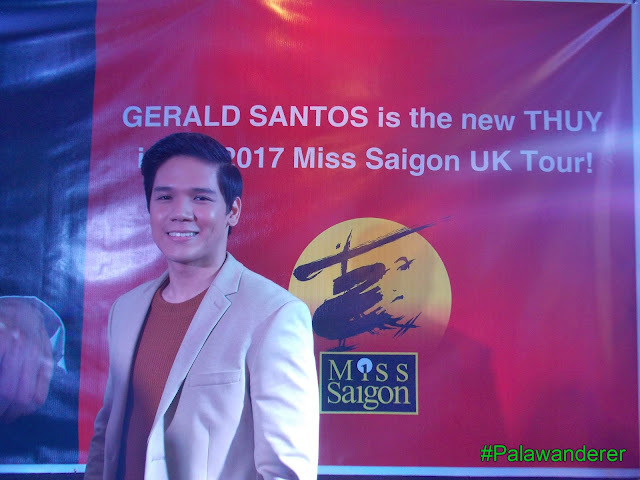 Santos admit he waited patiently for more than a year after receiving the confirmation, that he did pass the audition and got the Thuy role. But he didn’t lose hope and believe in God that the opportunity will still pursue. After reading the email confirmation of him being Thuy, he did cry and think of all the hardship he passes thru before auditioning for Miss Saigon, like putting up his own show, producing his own album, because he have no TV contract for the past many years after his freelance status. He did some theater production like Sino Ka Ba Jose Rizal of Gantimpala Theater Production, and Pedro Calungsod by Redlife Entertainment Production. “Thuy is not a villain, he just truly madly in love with Kim, He is just so pisst off with the situation, kumbaga na fix na yung marriage nila bakit na in-love pa si Kim kay Chris. Ganun ko siya interpret, intense and angry lang sya sa situation but he is not a villain.” Santos added. Gerald did a solo concert last April 9 at SM North Skydome entitled “Something New In My Life” with Regine Velasquez as his very special guest, and the UP Concert Chorus. Miss Saigon is a production by Cameron Mackintosh, music by Claude-Michel Schonberg, lyrics by Alain Boubil and Richard Maltby Jr.